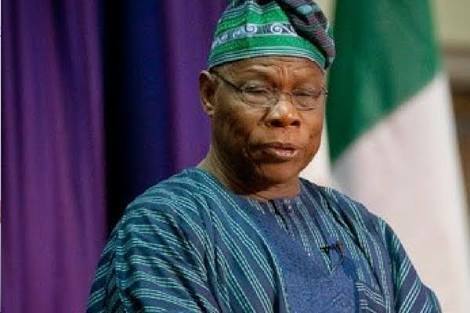 Former President Olusegun Obasanjo on Saturday, told members of the third force, Coalition for Nigeria Movement (CNM), that the present administration would pose a threat to their ambition to salvage Nigeria. He urged members of the coalition to ready for the enormous work ahead. Obasanjo spoke in Ibadan while addressing the Oyo State chapter of the CNM. At the meeting were a former Governor of Osun State, who is also the national coordinator of the movement, Olagunsoye Oyinlola; a former Deputy Governor of Oyo State, Taofeek Arapaja; two former secretaries to the Oyo State Government, Olayiwola Olakojo and Ayodele Adigun; as well as Mr. Oyewole Fasawe. Obasanjo said, “Our bosses are ready to spearhead this assignment. When those who insist that if they do it well or not, they must still be in charge of the affairs of this country and we say they cannot be there, they will wage war, they will do so with every weapon to fight. Everybody must be prepared. He noted that a similar scenario happened in the past when all the five political parties in the country adopted one person as their sole candidate for presidency.